The cheapest hotel in town . Ubud the cultural heart of Bali . Make our hotel your destination. We have rooms with streetview and mountain and ricefield view. All standard rooms Rp 250.000 ( + $ 16 US dollar ) including aircon - wifi and breakfast incl tax and service. The standard plus rooms Rp 350.000. ( + 27 US dollar ) More space m2 for extra beds. Swimmingpool for our guests other side of the way. 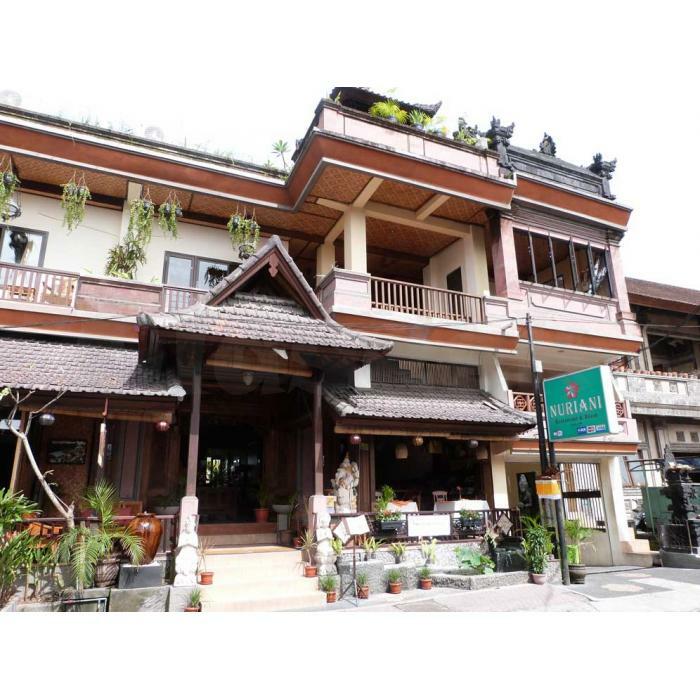 Our hotel is in the centre of Ubud 150 meter from Bebek Bengil and from supermarket Coco and otherside from Yogabarn for yoga and healing. We hope to see you soon and when we do also the pick up from the airport.